Home / Chicago Open Air / SOUR SMASH / Stone Sour Smash The Charts with New Album "Hydrograd"
Stone Sour Smash The Charts with New Album "Hydrograd"
HYDROGRAD, the new album from the breakthrough rock act Stone Sour, rocketed onto the charts this week, debuting at #1 on three Billboard charts: “Top Current Albums,” “Top Rock Albums,” and “Top Hard Rock Albums.” HYDROGRAD also debuted at #8 on the “Billboard 200,” marking the band’s fifth consecutive Top 10 debut on that chart. Furthermore, HYDROGRAD debuted at #5 in the U.K. (the band's highest debut ever in that country), #2 in Australia (highest debut ever), and was Top 5 in Germany, Japan, and Switzerland. Also this week, HYDROGRAD’s lead single “Song #3” spends a fourth straight week at #1 at Active Rock Radio, marking the GRAMMY® nominated band’s fourth #1 single and eighth Top 5 single at the format. “Song #3” is joined by a Ryan Valdez directed official video, which has received over 3 Million views on the band’s official YouTube channel while garnering 4.7 Million streams on Spotify, including placement on Rock This and Rock Hard playlists. Stone Sour has also shared a new performance video for an acoustic version of their chart topping single, “Song #3,” which is streaming now on Spotify’s “Rock This” playlist as well as on the band’s official YouTube channel. 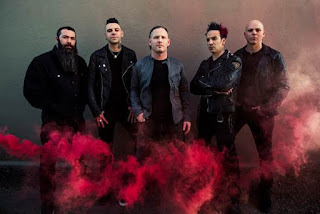 The new performance video follow’s Stone Sour’s recently released 360° performance video for “Somebody Stole My Eyes,” which was filmed at Sphere Studios in North Hollywood, CA. Stone Sour are currently on an epic summer trek alongside fellow Roadrunner recording group Korn deemed, “The Serenity of Summer Tour,” which is set to continue through early August (see tour itinerary attached). Presented by Live Nation, support throughout the eclectic tour comes from Babymetal, Skillet, Yelawolf, Islander and Ded. Furthermore, Stone Sour has several festival appearances slated for this summer including Rock Fest (7/14), Rock USA (7/15), Chicago Open Air (7/16) and more. This fall Stone Sour will head overseas for an international leg of their ‘Hydrograd World Tour’ which will kick off November 10th with a performance at Moscow, Russia’s Stadium, before hitting continental Europe and the UK (with support from The Pretty Reckless). The band will then return to the states this October for a set of festival performances including Houston Open Air (10/15), and Monster Energy Aftershock (10/21). For complete details and ticket availability, please visit www.stonesour.com. Alongside a busy touring schedule for the band, frontman Corey Taylor has announced a series of signings and talks in support of his new book America 51, a skewering of the American underbelly by the New York Times bestselling author of Seven Deadly Sins and You're Making Me Hate You. Taylor is set to visit Bookends in Ridgewood, NJ on August 8th for an evening book signing and the following day, August 9th, Taylor will host an evening book signing at New York City’s Barnes & Noble in Union Square followed by an intimate acoustic performance at Irving Plaza. On August 10th, Taylor will head to Long Island’s Book Revue for an evening time signing and discussion about America 51. America 51 will be available August 8th via De Capo Press and is available now for pre-order. For more information on America 51 and Corey Taylor’s upcoming appearances please visit www.thecoreytaylor.com. 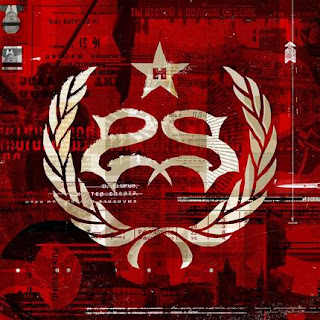 Stone Sour’s new LP, HYDROGRAD, features the tracks “Song #3,” “Fabuless,” and “Taipei Person/Allah Tea,” and “Mercy.” “Fabuless” is joined by an official music video, directed by Paul Brown, which has received over 5 million views on Stone Sour’s official YouTube channel, while “Mercy” is accompanied by a live video performed and recorded at Sphere Studios in North Hollywood, CA. HYDROGRAD is available now at all DSPs and www.stonesour.com.